A gentle opening hole measuring 310 metres. 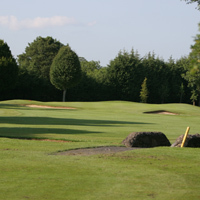 The ideal tee shot is an iron to position the ball between the 2 fairway bunkers. This will leave you with a 2nd shot of about 130 metres to a small well-protected relatively flat green.